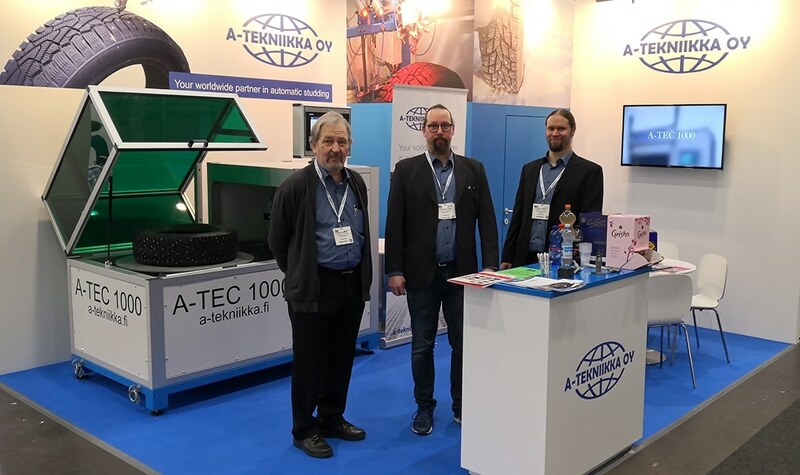 Heikki Lindqvist, Sami Rantalainen and Seppo Nummela presenting A-tekniikka booth. Tire Technology Expo 2019 was a great success. A-tekniikka met a lot of old friends but also a plenty of new interesting contacts. Thank you all, let’s keep in touch also in the future. The studding season is Hot!